Hi loves! 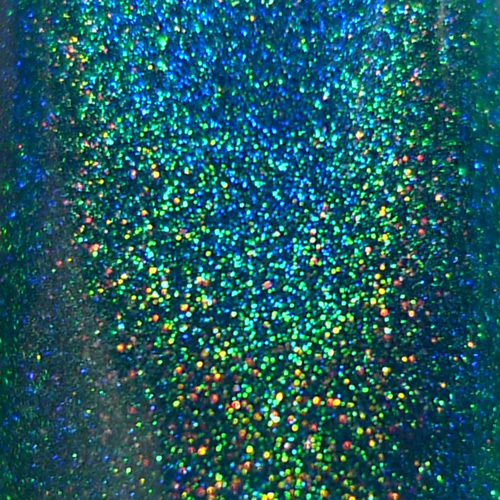 Today I have a super gorgeous shade to show you from one of my favorite indies: Too Fancy Lacquer Keep Calm and Be Fancy. First off all, how awesome is that name :-D? I think it was Charlene's intention to make this into a series of polishes, all with a "Keep Calm" name. If I were to vote on the next one I'd say Keep Calm and Love Varnish would be a great addition, right ^^? 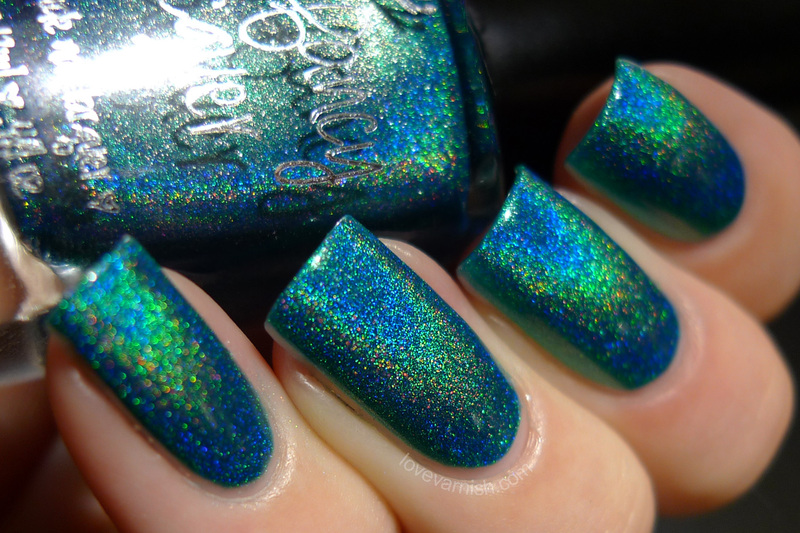 This shade is a glorious teal shade, and it seems to be a metallic finish. It has the perfect buttery formula and applies heavenly, but almost all Too Fancy Lacquer shades are like that. All I needed were 2 even coats, it levels really well but a top coat adds some shine so I used G&G HK Girl top coat to finish it off. This does seem to stain a bit, right now my standard base is already 2 coats but I noticed with the minor clean up the color bled on my skin easily. Something to take note of when wearing this beauty! The holographic effect is strong, especially in halogen and led lighting, and indoors it has that lovely metallic finish to keep it interesting. This is a super pretty color! And I agree, what a good name! How do I feel? I feel stunned! LOL! After Keep Calm and Love Varnish, I vote for Keep Calm and Buy Polish. :P haha! I'm dying over that turquoise! stunning! Nooo, I don't need this. My camera doesn't portrait teals so I surely won't be able to take pictures and therefore I don't need it. Tell me I'm right, please. Wow! This polish is killer! I'm totally swooning! This is absolutely amazing! It's soooo pretty! That sounds like a great follow up indeed :D! Glad you like it Phyrra! But even if you can't capture it on camera, you can always just stare at it... not helping? It's SO pretty right :-D? I might be biased as well as teal is my fav' shade, but still ;-). 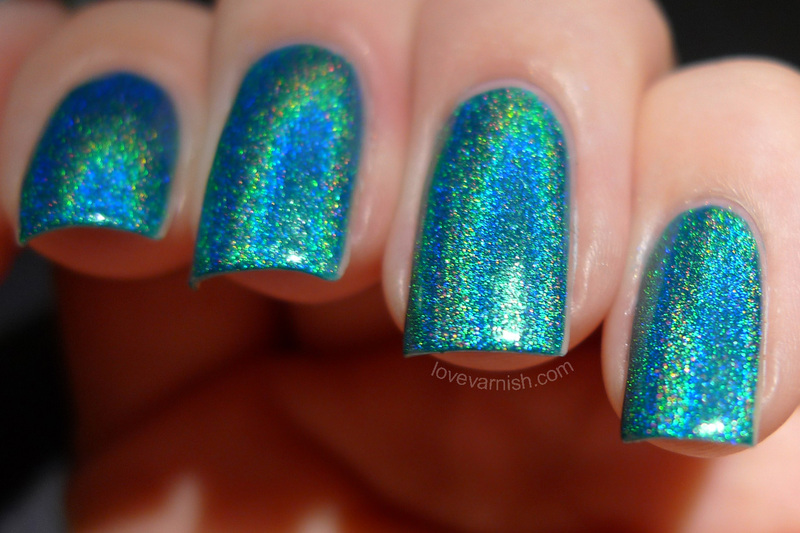 Oh wow, that is one crazy strong holo effect and the color is pretty!